On Prime Day, Amazon’s website crashed, while one of its biggest warehouses also experienced a technical outage that delayed thousands of package deliveries. According to documents obtained by CNBC, the outage was caused by Amazon moving its database for an Ohio warehouse off of Oracle’s to its own. Amazon is planning to move completely off Oracle’s database by 2020, but Oracle thinks it’s a long shot. Amazon did not have a great Prime day this year. The ecommerce giant’s website crashed, and sales slowed down due to a technical problem at one of Amazon’s warehouses in Ohio. It turns out that the warehouse outage was caused by Amazon moving off Oracle’s database software to its own technology, CNBC reported. This delayed 15,000 package deliveries and wasted $US90,000 in labour costs, not including the hours spent by engineers troubleshooting, according to CNBC’s reporting. Previously, Amazon announced it would move completely off Oracle’s database by 2020. 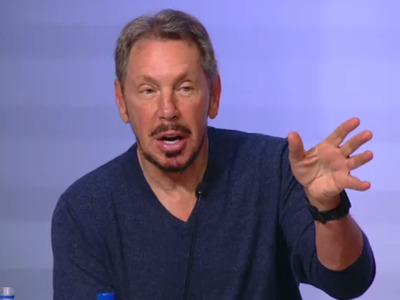 Oracle cofounder, chief technology officer and executive chairman Larry Ellison has since scoffed at the idea, saying “it’s kind of embarrassing” that Amazon uses Oracle’s databases to power its business. The Ohio warehouse was the largest of the 13 warehouses that moved its database off of Oracle’s before Prime Day, CNBC reported.